To reinforce the national participative movement in order to discover, denounce and eradicate forever the strategies, methods and criminal models developed by the State which still functions in impunity. 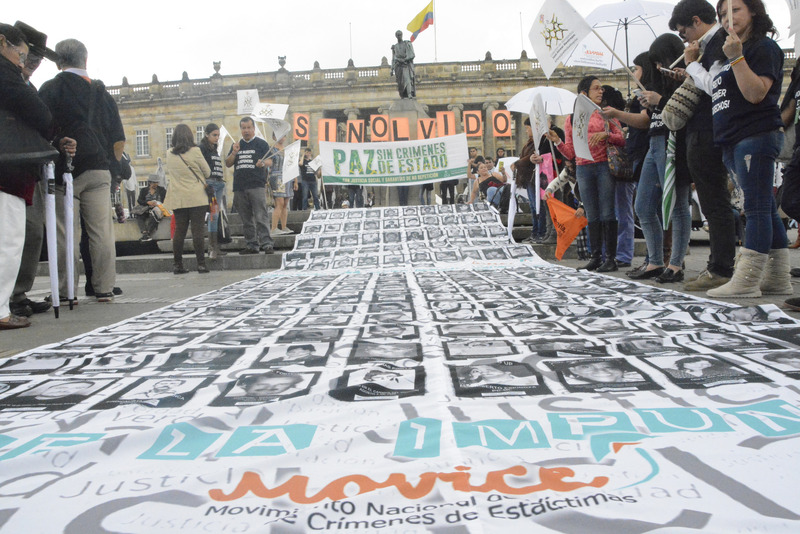 To work to help reunite the victims of State terrorism in Colombia and set up collaborations between victims who have suffered from colonialist, state or imperial violence in any part of the world. To contribute to the political resolution of the social and armed conflict in Colombia. To demand the dismantling of all war structures and the demilitarization of the population and to demand the immediate signing of humanitarian agreements that reduce the impact of the armed conflict for the population. To encourage cohesion between the victim organizations in relation to the recovery of collective memory. To demand the individual and collective recognition of the right to the historical truth, a truth that will honour the lives and names of the victims.